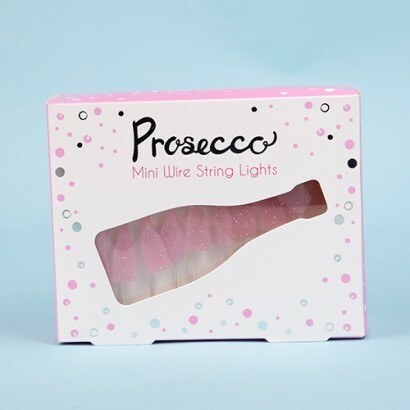 Nothing says celebration like a bottle of fizz, and these cute little bottles of Prosecco light up to add extra wow factor to your party! 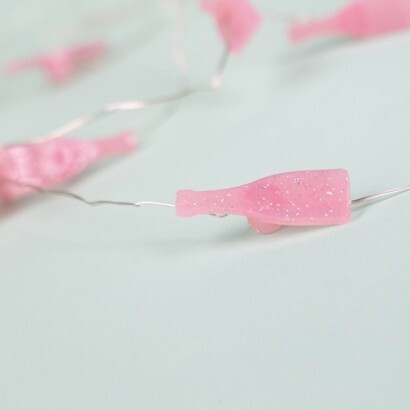 Perfectly pink and glittered for extra sparkle, these cute little bottles of Prosecco are each lit with a warm white LED so that they shine from within. 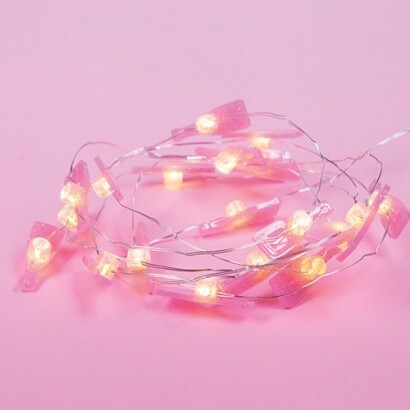 With twenty lights all set on poseable silver wire, these battery operated mini string lights are perfect for bringing out at parties, or for decorating around your home to remind you of good times had!